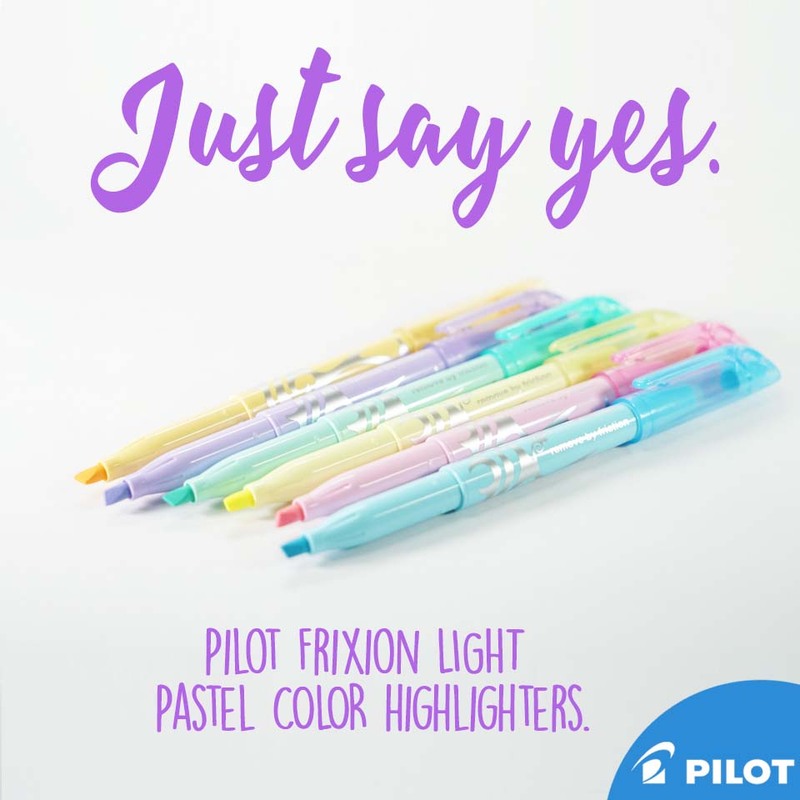 Pilot Frixion Pastel Color Highlighters | Cosmos Bazar Inc.
Never make highlighting mistakes again! 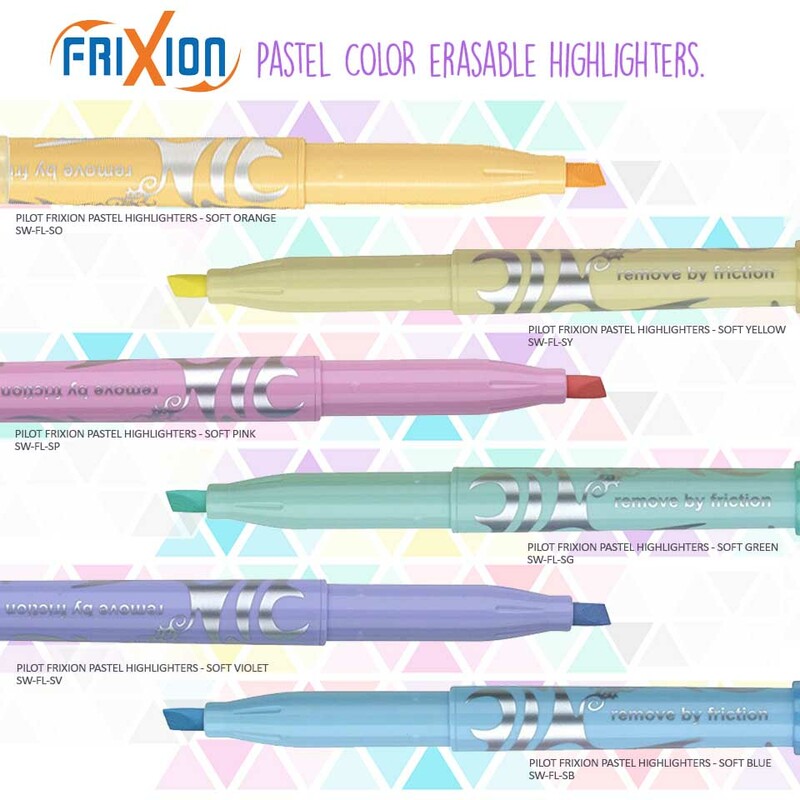 Pilot FriXion Light Erasable Highlighter in Pastel Colors highlights important notes and erases mistakes clean! 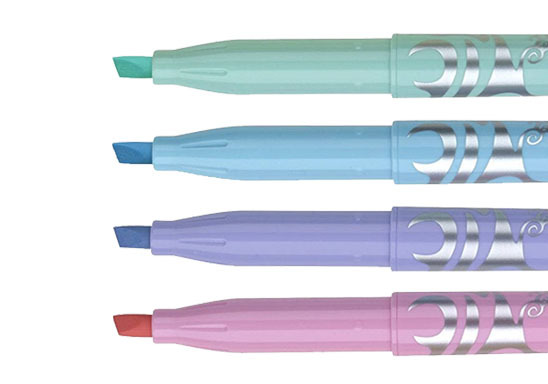 A unique highlighter which allows you to highlight important details or notes and can also erase when you make a mistake! Simply use the rubber tip on the end of the highlighter to erase the ink and you can re-write or highlight over the area right away.